samoasoftball: Housing Shortage in Eureka! No jobs for you! 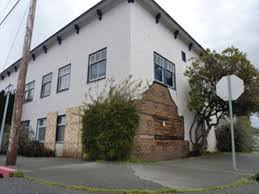 Randy Weaver, a North Coast Labor Market Consultant, did a Humboldt Housing Affordability presentation to the Redwood Region Economic Development Commission (RREDC) this week and some of the quick observations were pretty interesting. There has been very little growth in Eureka over the last umpteenth years. The median price for a home in Eureka is $250,000. $317,000 in McKinleyville and ….$459,000 in Redway! Rental Vacancy rates in Eureka are at 3.4%. Fortuna has 9% available. Renters represent 61% of Eureka Housing. 3. Education: Only 82% residents of graduated High School. Average student test scores are 24% less than national average. Student to teacher ratio in Eureka is 19:1 compared to 16:1 for the nation. Just about every living index is greatly higher than the national average. And we have one of the highest Homeless per capita rate in the nation also. These are what businesses take into account when they decide to grow into a community. Confirms what we all kind of knew. Thanks, Richard. SPOT ON!!!! THIS IS THE TRUTH ABOUT EUREKA!!! Wait a second...suggests only one percent between 1959 and 2000... Or is it half of pre 1959 are pre 1939? Which would leave About 33 percent between 1959 and 2000 unmentioned? HOJ caused a stir over lead in Eureka's drinking water in January when comparing the Flint, MI scandal in a discussion about the crappy homes/neighborhoods, as well as impacts on renters and how renters are getting ripped off living in homes/rentals that offer up a toxic brew of lead tea (with 3 lumps of rust)....then out came the science in the local media outlets......ye who speaks creates results that spark debate and crack knuts, sugar plum fairies and all. 64% of all houses in Eureka were built before 1959! 32% of them were built before 1939! Only 2% of the houses were built between 2000-2009. From 2010 to present there has been less than 1%. President Mad River Softball Association. Rail Authority dealing with homeless in Ukiah. Spring Softball! Oh happy days! JERRY BROWN’S ADVICE ON BEATING TRUMP - From the Washington Post, it’s a good read, right HERE.